Christmas came early this year! At least to my cookie jar. Well, I don’t own a cookie jar, but it definitely came early to my stomach. Or my freezer. Or both, really, but not in that order. If you’re wondering what Christmas possibly has to do with these ice cream sandwiches, well, nothing, actually, except that the cookies I used to sandwich my lime ice cream are the chocolate chile cookies I request, or uh, demand, whenever I go to my friend Ginny’s family for Christmas, when she, her sister and I all usually spend an entire day (or two) baking up about eleven billion trazillion gamillion cookies or so (not an exaggeration). The problem is that everyone has their favorite, and there really isn’t a lot of overlap. For me, these are nonnegotiable. Deeply chocolate cookie dough get rolled in a chile sugar before baking into soft, sweet and spicy rounds that I’m incapable of keeping in my house through December 27th (sometimes they don’t even make it out of the car). Last year, there was talk of removing them from the rotation, which I thought was highly unfair, especially given the email, text, and IM’s Ginny bombarded me with after I had the nerve to post these cookies and not include them in the list (in my defense, I thought they were too similar to the chocolate chip cookies all ready included, but I was apparently incorrect about that). So we compromised, and just made both. I’m waiting for the year we all decide we are just ridiculous, but that hasn’t happened yet. I certainly won’t be making that call, because 1) I am a guest in their home and I would never rule on someone’s family traditions, and 2) cookies are among my favorite foods on earth and I don’t believe in my heart that you can ever truly have too many. But these? They really are my favorite. And I didn’t wait until Christmas this year to make them, but I still felt like they needed a little something to summer-ize them, so I churned up some lime ice cream and smooshed it in between pairs of cookies. The result is a lovely sandwich of the sweet/spicy chocolatey cookies I love, plus a zippy, refreshing, cold blast from the citrusy ice cream. To me, they are the perfect treat to celebrate the last official weekend of summer. Just maybe make them and invite some friends over, ok? These are proving to be just as hard to pace myself with as the cookies are at Christmas. I stress ate three before the Game of Thrones finale on Sunday, and the resulting heartburn brought on by my rapidly beating heart and “who’s going to die” nerves is not recommended. But you should be fine, assuming you share, or you *spoiler alert* aren't #teamlittlefinger and totally think romantic relationships should happen between close family members. Chocolate cookies adapted from Martha, lime ice cream adapted from David Lebovitz. This makes enough for 10 sandwiches and some leftover cookies for the cook or for insurance. 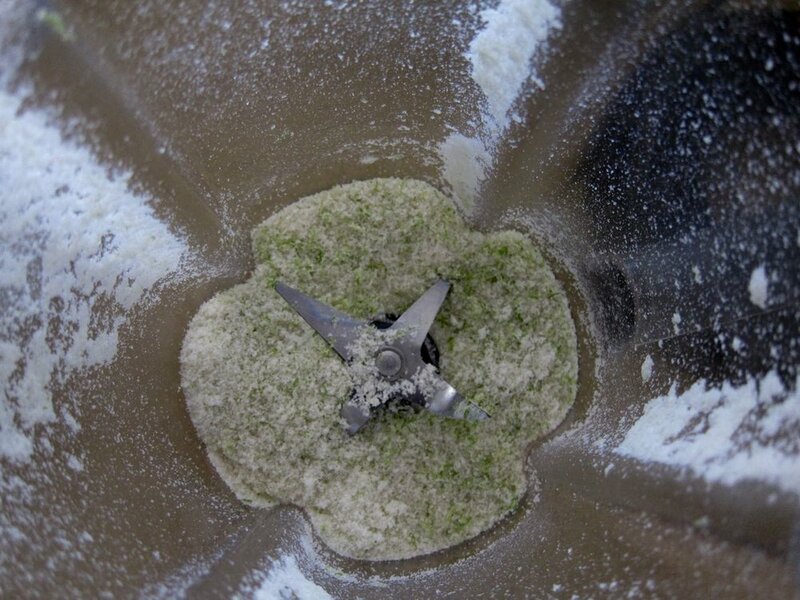 In a blender, combine lime zest and sugar and blend until zest is very fine. Add the lime juice and blend until sugar is dissolved completely. Add half and half and salt and blend until all is well combined. Chill mixture for 1 hour, then freeze in ice cream maker according to manufacturers instructions. Transfer to freezer-safe container and freeze until firm. I adapted the ice cream recipe from one originally calling for lemons, so I decreased the sugar on the assumption that limes are sweeter and that I wouldn't want an overly sweet ice cream between layers of cookies that had been rolled in extra sugar. However, the finished ice cream was a bit icier and less compact than I expected, which could be from using half and half and no eggs in the base, but also I suspect may be partly due to lowering the sugar content, so feel free to add an extra 1/8 cup sugar if you like. Whisk together flour, cocoa powder, baking soda, and salt, or sift together if especially clumpy. In the bowl of an electric mixer fitted with the paddle attachment, beat the 1 cup of granulated sugar, the butter, and the egg until light and fluffy, about 2-3 minutes on medium speed. Scrape down sides of bowl, add vanilla and beat to combine. Gradually beat in the dry ingredients on low speed. Cover bowl and chill for at least 1 hour. Make the chile sugar: combine 1/8 cup granulated sugar and the turbinado sugar with the chile powder. Grind up the thai bird chiles and add to the sugar mix, stir to combine. When ready to bake, heat oven to 350 degrees and line baking sheets with parchment. Scoop 1 oz spoonfulls of dough onto prepared cookie sheets and roll into balls. Roll balls in the chile sugar and place about 1 inch apart on the baking sheets. Bake 8-10 minutes until set, rotating sheets halfway through. Cool on baking sheets for 5 minutes, then transfer cookies to wire racks to cool completely. 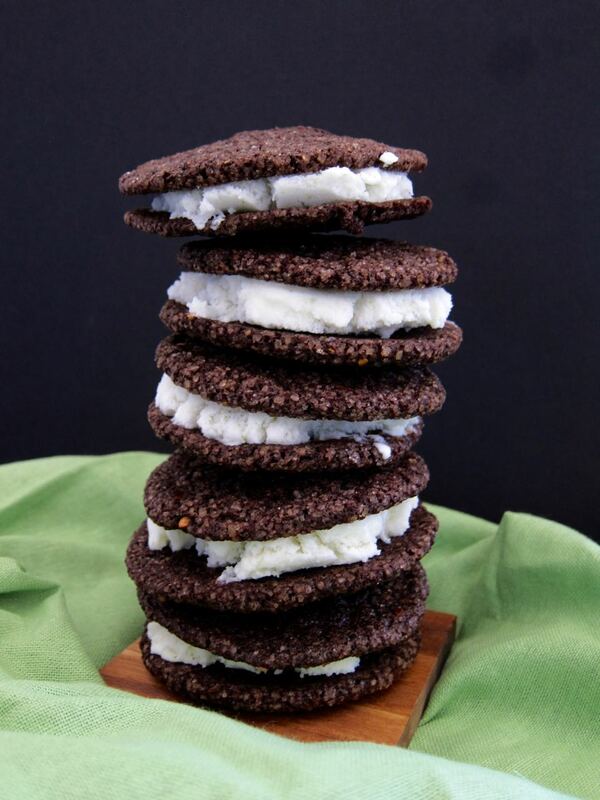 To assemble sandwiches: Scoop ice cream and press gently between 2 cookies. The cookies should be soft enough not to break but be gentle and you should be fine.